2012 is undoubtedly one of the most colorful years in women’s fashion. Neon color and uber brights will stop you in your “espadrille trodden” tracks. These enchanting hues can transport a working girl from cubicle to samba, in a flash of Tangerine Tango! Amongst the colorful chaos stands a timeless, American, nautical inspired trend. I call it Newport News, elegant, simple, a tad preppy and screaming good taste. It perennially rears its lovely head in transitional seasons, like early spring and summer. Think dry cottons…canvas and twill, breezy voiles, openwork sweaters, rope soles and handles and leather luggage details. Simple two-toned stripes and nautical motifs are the primary graphics. This is more of an important accessory story, than full-blown “down-on-the-docks” dressing. It can just be one refined item like J Crew’s sequined anchor top or as simple as a striped boat neck from Rugby. 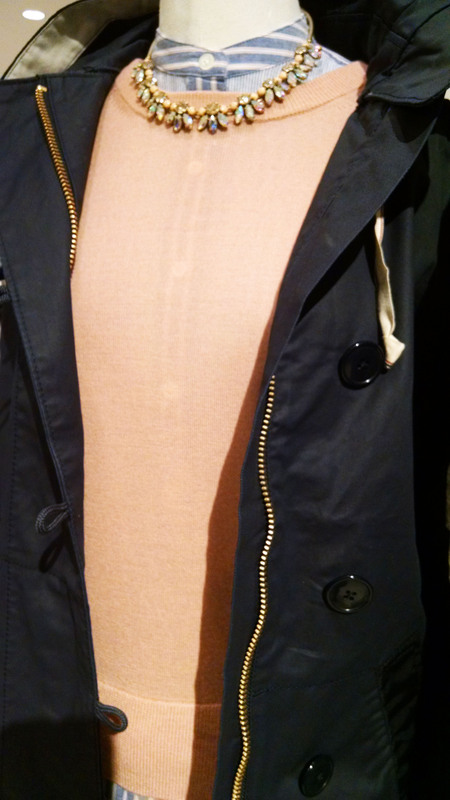 Make it modern by pairing refined pieces with more casual ones. Like sequins with denim or a sateen striped clutch with a rustic knit sweater. Bottoms include denim shorts, slim and flared jeans, as well as pleated long or short skirts. In shoes, think fabric…espadrilles, ropey wedges, ballet flats, as well as boat shoes. For bags there are roomy fabric totes, wicker clutches, back packs and sturdy leather bags. Longchamp’s white Le Pliage totes are also perfect “nautical chic”. Officer’s navy and sail white are the primary tones, but can be accessorized with brazen accents of banana, poppy, emerald or orange. 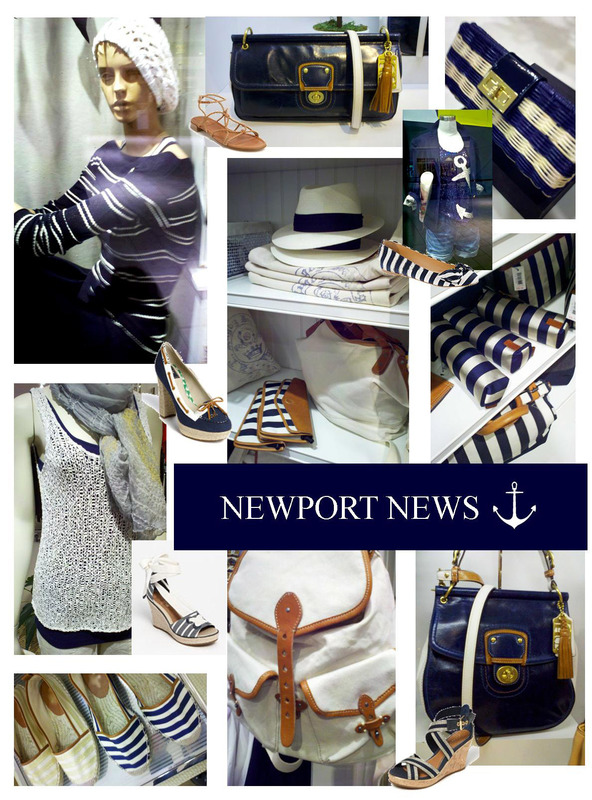 The best “Newport News “accessories and clothing can be found from the beloved, usual prepster suspects…Rugby, J Crew, Madewell, Kate Spade, Milly, Tory Burch, Sperry, Coach, Longchamp, and Ralph Lauren. Newport News is a natural trend for home decor. The contrast of polished with casual textures, is perfect for an urban loft or coastal cottage. Dix&pond is the blog of Dix& Pond Consulting. For several years, shoe and handbag sales have been far more robust than women’s apparel. In an economic downturn, women turn to accessories for a wardrobe update. 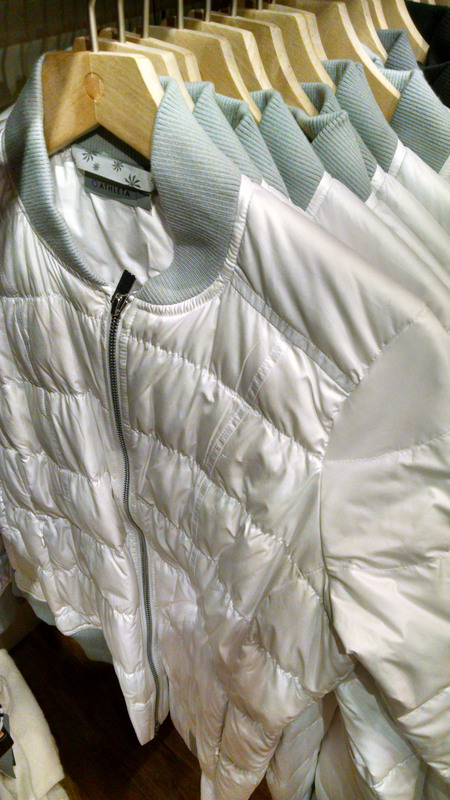 A strong new silhouette, pattern, status brand or colorful accessory can refresh existing apparel basics. It is not surprising that women have also turned to exciting and unusual colors and finishes in nail polish recently. Nail color is one of the fastest growing areas in beauty, as it gives a woman an inexpensive way to make a daring fashion statement. Beauty companies like the shoe and accessory manufacturers have continued to “up-the-ante” and offer color where no woman (or many manufacturers) dared to go in the past. They have created some of the most showstopping footwear lately and are getting paid for their risk taking. I expect this emotionally driven shoe trend to continue in seasons to come. Shoes and bags have taken center stage over apparel sales in the past few years. Very colorful statement shoes and bags are a dominant accessory trend for 2012.
Who needs another basic black pant; but who can resist a pair of hot pink “life changing” sandals? The hottest trend in shoes (and handbags) this year is strong, unabashed color and pattern. Bright, neon, pastel colors and prints are on sandals, wedges, espadrilles, pumps, platforms, two-tone oxfords, flats and athletic shoes. Personally, I couldn’t pass up orange patent wedges from J. Crew and was mesmerized by a yellow patent Ted Baker bag. Banana yellow? I have never owned a yellow accessory in my life. 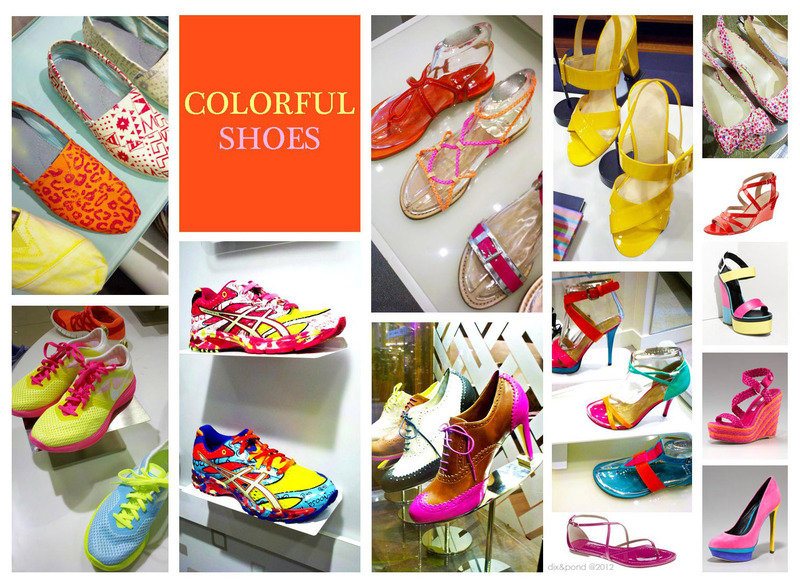 Some of the best colorful shoes this season are from unexpected sources…Stuart Weitzman, Cole Haan and Nike. Great color and patterns can be found from J Crew, Tom’s, Sperry Topsider, Kate Spade, Fendi, Giuseppe Zanotti, Brian Atwood, Prada and many more. Did you buy a colorful shoe this season? Color trends evolve slowly and steadily. They rarely appear unexpectedly. This year we are caught without much warning in a tidal wave of cheerful yellow apparel, accessories, home products and decor. From tender sorbet to banana to sunflower, this optimistic, south-facing color family, is the new neutral for spring 2012! For the past year or so something strange has come over me. Colors that never excited me have become my new favorites. Whipped butter, baby chick and day lily have infiltrated my brain. Yellow, a non-existent color in my closet, is going to play a starring role in my black and white wardrobe this spring. I was tasered by a buttercup, patent leather Ted Baker tote. Until I got home, I didn’t I realize what I had done. Yellow is the new neutral for 2012! Perhaps yellow is the antidote to years of recessionary malaise? This burst of sunshine is most modern when worn with other bold brights, or historically unusual parings like bright yellow with grey or beige. It pops in prints played off of grey and white. 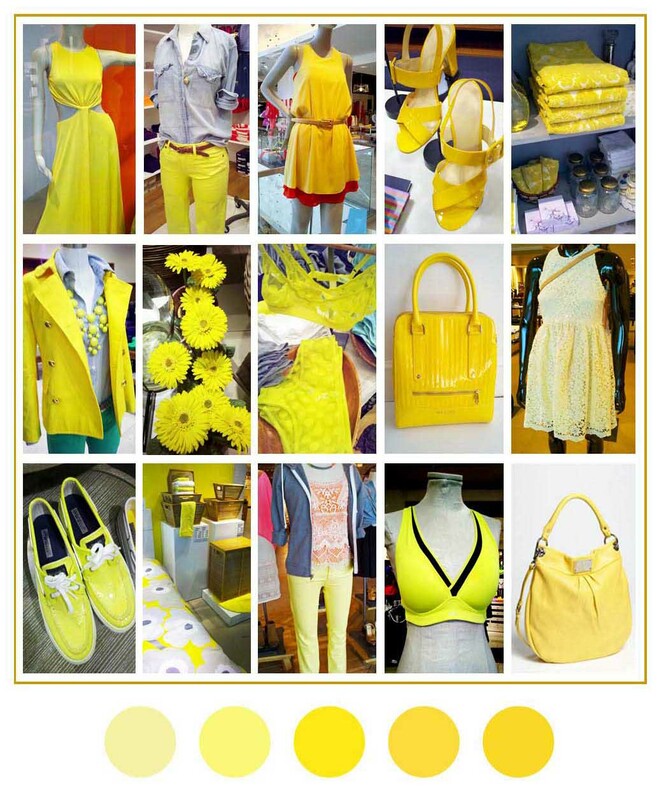 Yellow can make a vibrant or delicate statement in active wear, shoes, jeans, handbags, lingerie, dresses, accessories and home decor. I expect it to gain steam and be with us for a while. Even if it isn’t your most flattering color, you can get your yellow fix away from the face in a jean or boot. 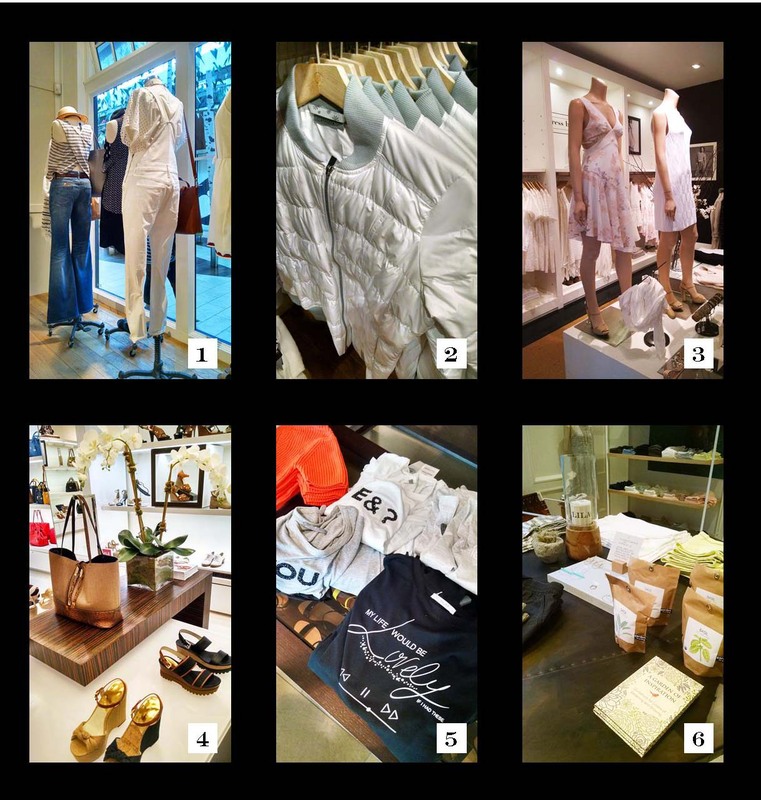 I especially like the use of yellow this season by BCBG, J Crew, Crate and Barrel, Rag and Bone, 7 for All Mankind, Robert Rodriquez, Sam Edelman, Sperry, Rebecca Minkoff, Tory Burch and Ted Baker.